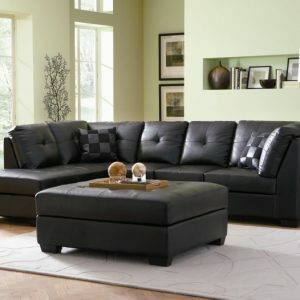 Accent your contemporary living room with this elegant sectional sofa, featuring a sumptuous leather upholstery that lends casual charm to this piece. 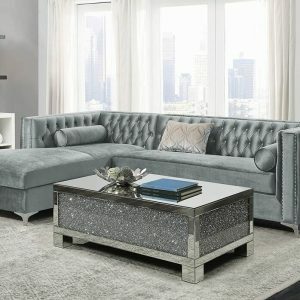 The unique metal legs create a modern look and style in your home. 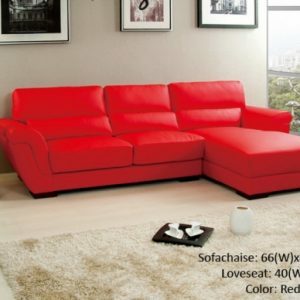 This lovely sectional features a foam density of 3.8 for the seat and the arm and footrest features a foam density of 2.3. This living room sectional is made with a solid Brazilian wood frame, stainless steel legs and top-grain Italian leather upholstery. The adjustable headrest and pillow-top arms offers exceptional comfort and relaxation. The clean modern style of this sectional set will add a fresh look to your living space, while the cushions are incredibly plush and soft, giving you more than enough comfort.